The Emily Dickinson Museum will tell you that "The kitchen appears to be one of the rooms where [Emily] Dickinson felt most comfortable, perhaps most at home." 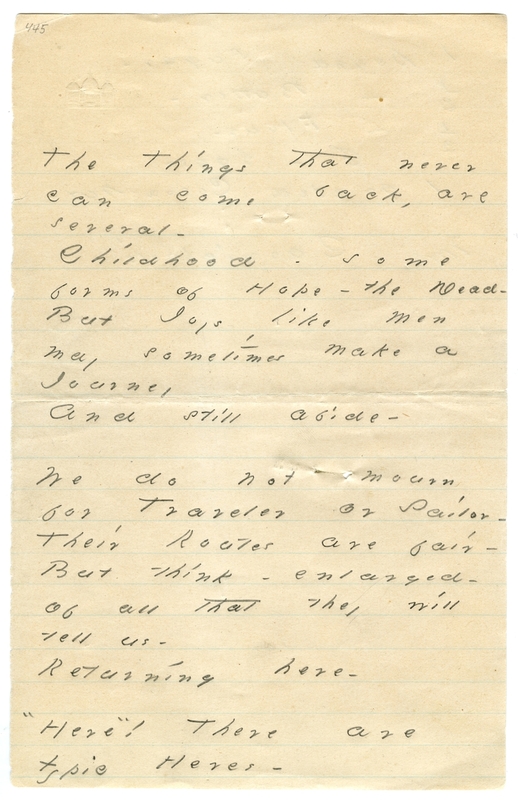 But the "many drafts of poems written on kitchen papers tell us also that this was a space of creative ferment for her, and that the writing of poetry mixed in her life with the making of delicate treats." 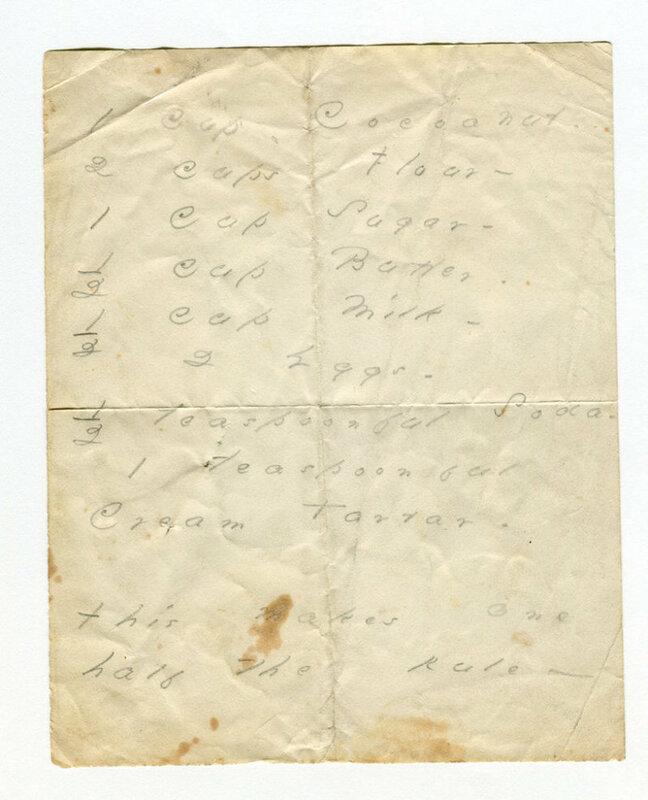 On the flip side of the recipe, Dickinson then wrote the beginning of a poem, "The Things that never can come back, are several" (read the transcript here). Presumably the recipe inspired the poem, but perhaps it was the other way around? If you're looking for your own source of creative inspiration, you can try out Dickinson's recipes for Black Cake and also Rye and Indian Bread here. (According to The Public Domain Review, "her loaf of Indian and Rye won second prize in the Amherst Cattle Show of 1856.") And you can even head up to the Emily Dickinson Museum in Amherst, MA and take part in their annual baking contest. 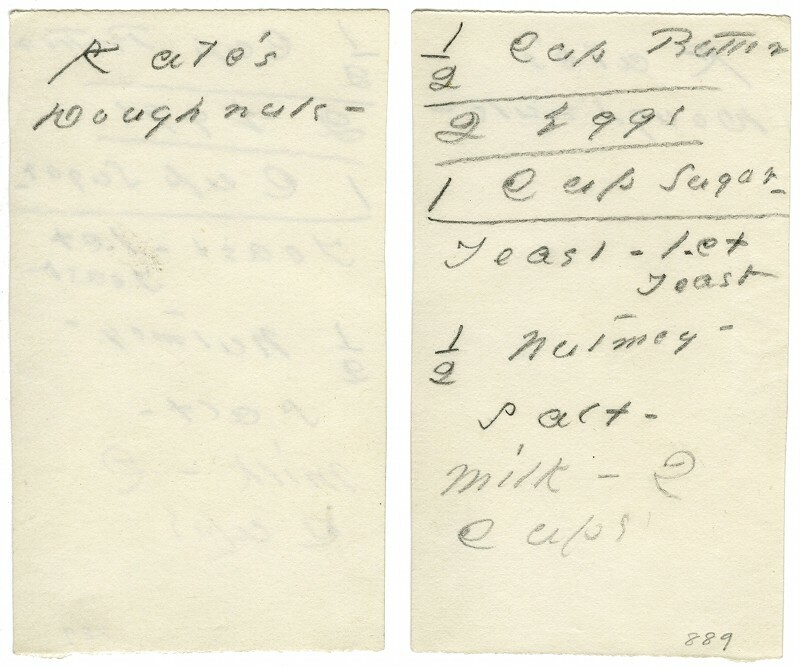 Over at NPR, Dickinson scholar Nelly Lambert has more on the poet's relationship to baking and food. No further instructions? She just listed the ingredients? Where the heck and in what form did people in 1850s Massachusetts get coconut? Speaking as a writer and a baker, I have a notebook full of lists of ingredients, backed by bits of my novel … the two are completely unrelated. Writers will scrawl on any available bit of paper when an idea hits: it doesn’t mean there’s a connection.